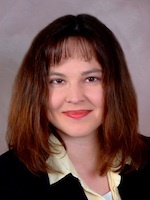 Leslie Whitten focuses her practice in the area of workers’ compensation law. She has defended numerous cases involving repetitive trauma claims and mental injuries, and she has considerable experience representing large self-insured companies. Leslie has received the AV Preeminent™ Rating Judicial Edition, which is the highest possible rating an attorney may receive for both legal ability and ethical standards. Leslie is also certified to provide counsel to clients in various industries in the area of information privacy and cybersecurity including incident investigation and breach response management, regulatory compliance, privacy and security policy review and drafting, and cyber risk management. She speaks frequently to various groups and organizations on the topic of information privacy and cybersecurity. She is a Certified Information Privacy Professional/US (CIPP/US) through the International Association of Privacy Professionals.